Focusrite’s RedNet 1 Native bundle. Los Angeles, California, July 1, 2015 – Focusrite is offering RedNet product bundles for Native users providing turnkey workflow solutions. 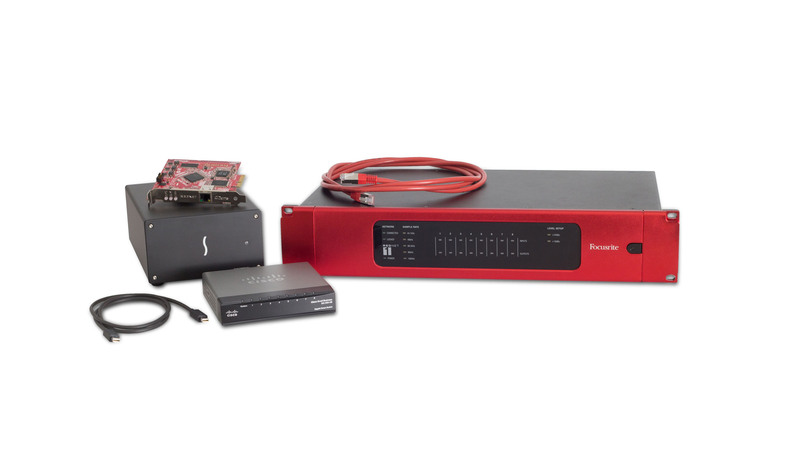 Each RedNet Native Bundle consists of either a RedNet 1 eight channel A-D/D-A interface or a RedNet 2 sixteen-channel A-D/D-A interface; a RedNet PCIe card; Red 2 & Red 3 AAX-compatible plug ins; Sonnet Echo Express SE I Thunderbolt chassis; and, for a limited time, an Ethernet switch (a $750 value). Photo caption: Focusrite’s RedNet 1 Native bundle.